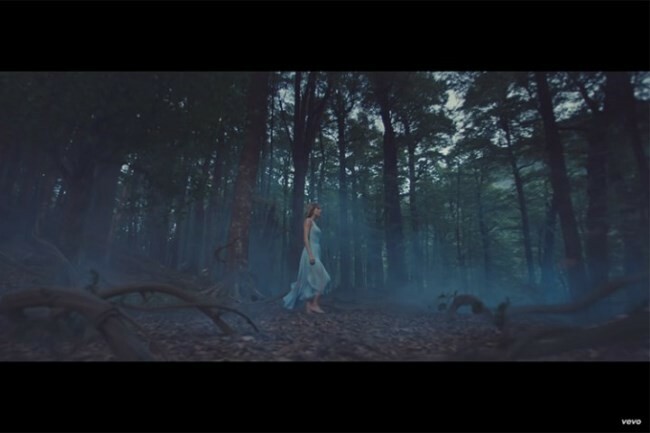 On New Year’s Eve, Taylor Swift released her new music video for the song ‘Out of the Woods’. Complete with wolves, scary vines and snow storms, there was plenty to take in when watching the dramatic clip. But our attention happened to be on what Taylor was wearing during her harrowing journey. In the video, the blonde pop star can be seen wearing a cornflower blue dress as well as a short slip version. It is such a versatile look that can be worn during winter months (with some layering) and spring once the weather warms up.